Public spaces are places where the complexities of urban development manifest themselves. There are various functions ascribed to public space, from political representation and its economic utilisation, to activism and protest, with various actors claiming a stake in its development, including the authorities, private companies, civil society and citizens. The new complexity in the network of actors with a claim on public space calls for an interdisciplinary approach as well as a diversity of methods to empirically study the city. How can complex processes which constitute and describe public space and the approaches of different actors be contextualised and how can we handle this complexity? 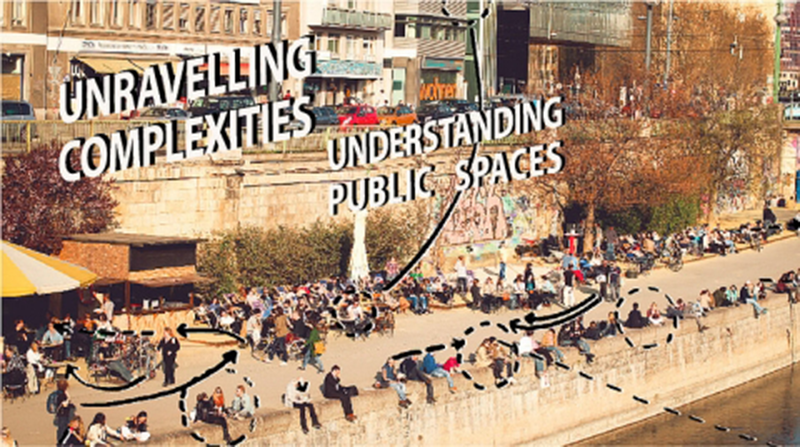 If you want to explore the analysis and understanding of public space through different approaches and new methods with lecturers such as Suzanne Hall (LSE), Joseph Heathcott (New School NY) and Sabine Knierbein (TU Vienna), and in joint workshops and field trips with a group of international Master- and PhD-students, apply now! With co-organizers that include 4CITIES staff Prof. Heinz Fassmann and Dr. Yvonne Franz, the Vienna Summer School in Urban Studies invites Master and PhD students to apply and participate. Participants will receive a certificate from the University of Vienna that confirms 5 ECTS points as equivalent to the amount of work at the Summer School. The deadline for applications is April 01, 2016. For more information, see here.